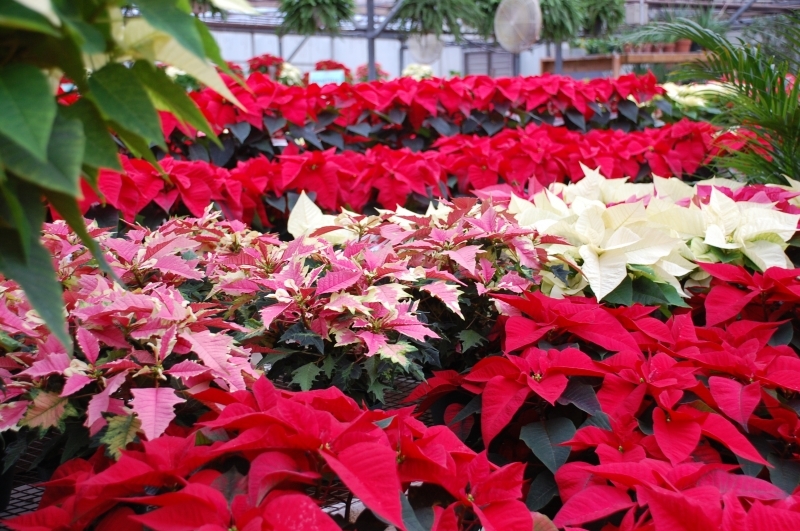 Although poinsettias grow wild in the tropics, they are best known in Niagara as the flower symbolizing Christmas. By following a few simple steps your poinsettia will bloom all through the holidays and well into the New Year. When choosing a poinsettia, never select one that is displayed in a plastic or paper sleeve. The lack of air circulation that the plant has suffered will result in leaves turning yellow and falling off before Christmas day even arrives. At home, choose a bright spot with indirect light for your poinsettia. Don't overwater! The surface of the soil should feel dry before it's time to water your plant. When you do water, water well. Be sure to drain off any excess water, poinsettias don't like "wet feet". With proper care your poinsettia should bloom for many weeks. If you have any further questions, contact us...we'd be happy to help!